In 1882, my great grandparents purchased an abandoned dairy farm that included 160 acres of land, but only 40 of the acres had been cleared. The rest of the land was covered with black walnut trees, so my great grandpa Henry and two teams of oxen worked to clear the land while my great grandma Margaret was busy making butter and cheese and gathering eggs — all while raising nine children. A lot of hard work went into making this farm, and that is just one of the reasons we are so devoted to continue the tradition today and feel so grateful to be able to share our story with visitors. Over 100 years after my great grandparents purchased the land, Shuler Dairy Farm now has a state-of-the-art new barn and two robotic milking machines, which allows our 100 cows to lounge all day and walk to the robotic milkers whenever they feel like being milked. This gives our family the opportunity to enjoy more time together and work on a much more flexible schedule. When my dad, Ward, and I fully took over the farm in 1985, we followed a daily schedule, always putting the farm’s and the cows’ needs before our own. This continued after my dad retired from farm work and my wife, Carolyn, joined me in waking up every morning at 3:45 AM to clean the barn and feed and milk the cows. We then took care of other chores around the farm until 3:00 PM came around, and we would head back to the barn to feed and milk the cows for a second time. This happened 365 days a year; there were no weekends or holidays off on the farm. 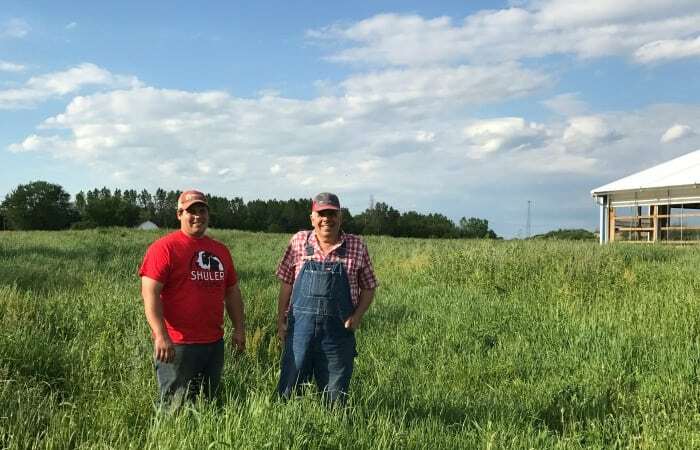 The desire to farm didn’t end with us — both of our sons Billy and Wyatt decided that they wanted to continue the farming legacy. With this exciting news, we knew changes had to be made around the farm to keep the business alive. Adding robotic milkers has given us flexibility while keeping cow comfort a top priority. Our new milking barn has all the bells and whistles to keep our cows healthy and content — from the two robotic milkers to fans that keep the air fresh to high-pressure water misters that kick on when the temperature reaches 75 degrees Fahrenheit. In the winter, the temperature inside the barn is seldom below freezing, and in the summer, the barn temperature is usually 15-20 degrees cooler than outside the barn. Aside from these high-end cow amenities, I am most excited about the areas in the new barn that we created to share life on the farm with visitors. We are devoted to opening our doors to the public, allowing them to observe the cows from a walkway above the cows and even see the robotic milkers in action. 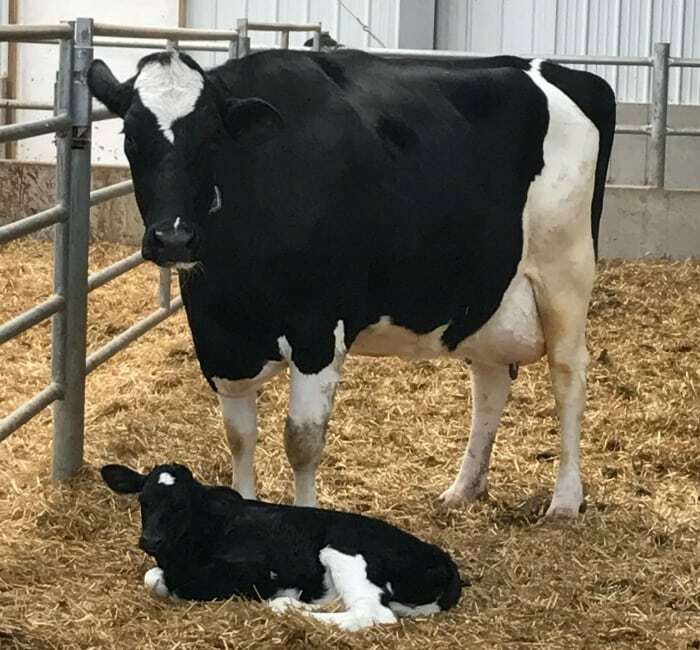 Sometimes, groups are lucky enough to witness a calf being born! We love welcoming local families on our farm, but some of our most memorable guests have come from all over the world. From Australia to Spain to Canada to Brazil and Taiwan, each person brings their own unique story, and we are so lucky to hear their stories while being able to share ours. Sadly, we lost my Dad in 2015 right after plans for the renovations were finalized, but I know he would be so proud of the work we are doing on our farm. 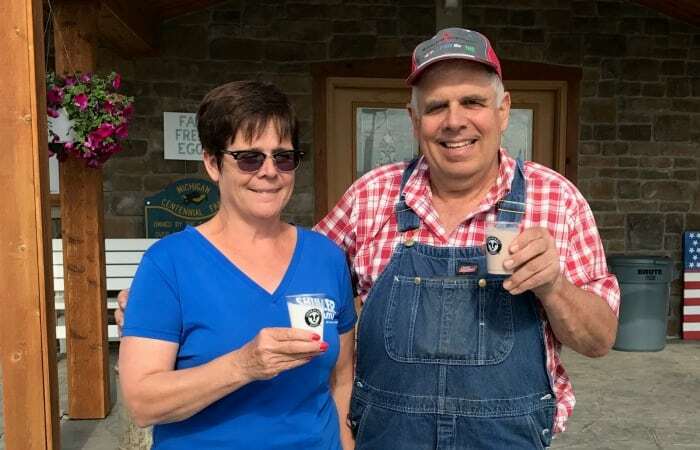 We are so happy to be able to bring smiles to visitors’ faces when they are learning about dairy’s story and life on Shuler Dairy Farm. 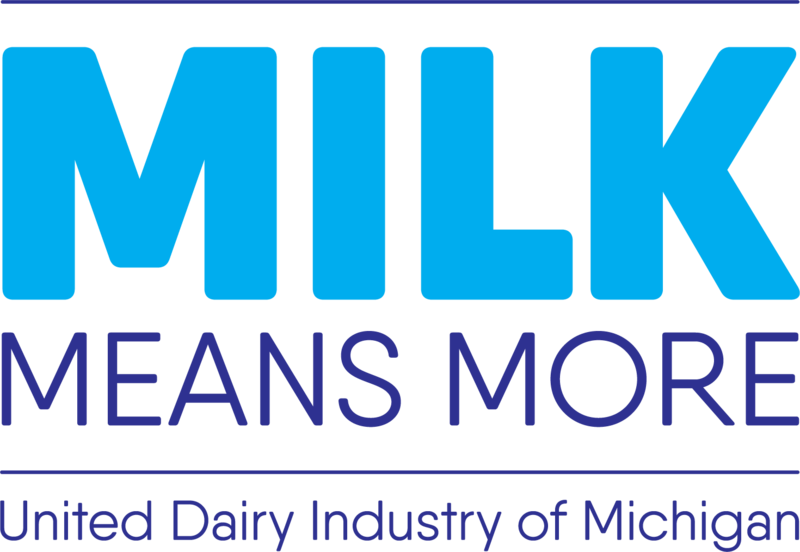 To learn more about Michigan’s dairy families, visit the Meet Our Farm Families page! The professional team from Milk Means More created this information for your learning pleasure. 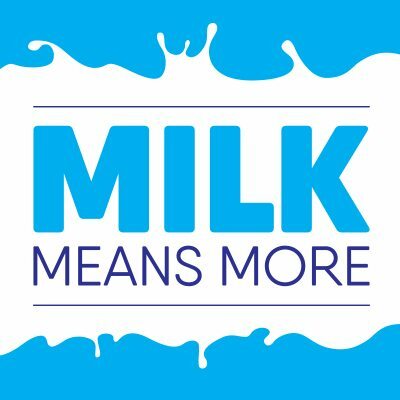 Dietitians, farmers, teachers, writers, designers - all work together to bring you up-to-date dairy information!